Talented and tenacious, Jason Blake enjoyed his best season as a pro last season with 40 goals and 69 points for the New York Islanders. A member of the 2006 U.S. Olympic Team, Jason also skated for his country in the 2000 IIHF World Champ-ionship, the 2004 Deutschland Cup and the 2004 World Cup of Hockey. Communication and timing are the keys to a successful one-timer. Most of the time it’s unspoken communication, such as a quick glance or putting yourself in position to receive a pass. That comes with practice and experience. 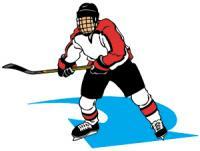 Hand-eye coordination is the secret to a good one-timer. Without it you’ll be fanning on the shot more often than you’ll be getting it on goal. To work on the timing, start by receiving a slow pass in a stationary position. Pick out a target, either a spot on the boards or a net, and work on getting yourself in the proper position to receive the pass and shoot in one fluid motion. As you improve, try working on where you want the puck to go. You have to get yourself into the position to shoot a one-timer. If you’re playing the off wing, you keep yourself open to the passes with your stick cocked back. 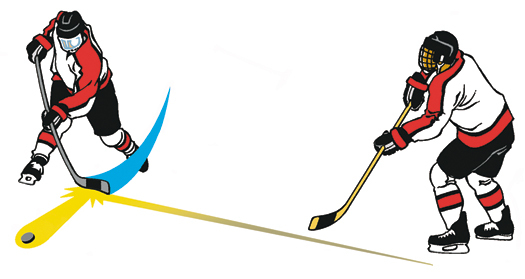 If you’re skating into the shot on a pass from behind the net as you’re cutting toward the goal, slide your hands down the shaft of the stick so you can get more control and accuracy. If you’re passing the puck cross-ice, you want to deliver the puck near the front foot so the shooter can step into the shot. There is very little windup on the shot because you’re using the velocity of the pass to propel the shot toward the net. Your job as a shooter is just to get it on goal. Like any shot, the key to a good one-timer is accuracy. A booming shot that misses the net and rattles the boards just makes a lot of noise. Start slow and work on the proper techniques. Submitted by grizzlie16 on Sat, 2011-11-12 13:45. I think this is going to help me a lot with my one-timers. Awesome explination!